Do whatever it takes to simply live in the now! It is indeed ironic. In this age of awakened consumerism, your Life is the ONLY product that comes WITHOUT a warranty, without a service or replacement guarantee and without a User Manual. There’s a remote control device to your Life but it certainly is not in your hand! Think about it! This is THE absolute, real, unvarnished truth! How different, and so how much more comfortable, Life would have been had it come with a User Manual at the time of your birth? You could then have quickly learned to live and not exist. You could have avoided mishaps and wasted experiences by consulting the manual’s Troubleshooting Guide. If dissatisfied with your Life you could have sought a replacement or pressed into play a service guarantee. Interesting perspective, isn’t it? But, really, as you well know, none of this is possible. So how do you live a Life that you have no control over, no guarantees about, and that offers no ‘easily downloadable’ guidelines teaching you to live it well? Simple. You live it one moment at a time. Savoring what is! And yes there’s one thing that Life unwittingly guarantees__with unfailing precision__that it will continue to amaze and surprise you. No matter what you know, you will be continue to be baffled by Life! So, the best way to live is to live with greet each moment in Life with childlike amazement. With curiosity. With glee. After all that you have tried, tested, tasted, experienced, learned, unlearned, found, discovered, lost and gained, in Life, you will come to realize that Life’s just a simple mind-game. Where the mind continuously tries to take you away from the now, into a dead past or a yet-to-be-born future. And you, through your deeper understanding of Life, must learn to bring your mind back to attend on the present. It’s a fun game. And just like you learn to play Angry Birds or Poker, better and better, with practice, you will learn to live in the moment better by simply focusing on living__again and again and again! So, the key to intelligent living is to lose the mind. Make the mind powerless by not heeding it. By not giving it much attention. Give the moment all your focus. All your attention. Order your mind, as it tries to work you up with worry and anxiety or pin you down with guilt and hurt, to focus on what is. If it is a flower you see, give that flower all you have. If it is this post, give it all your attention. Master Ikkyu defined Zen as “Attention! Attention! Attention!”. Thich Naht Hanh calls this mindfulness. Eckhart Tolle calls it celebrating the Power of Now. Osho calls it simply being. Different words. Different labels. All point to the same state of acceptance, joy and living! Nordstrom, the global retailer, who has a matchless reputation for service quality, has a one-line standard operating process manual. It says, exhorting its team members to deliver world-class service to its customers, “DO WHATEVER IT TAKES”. 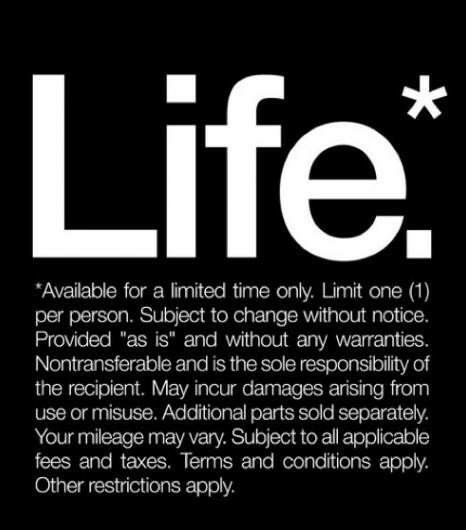 Borrowing from Nordstrom, and given that Life does not have a User Manual, perhaps a good, simple, one-line, standard living process guideline for Life would be: “DO WHATEVER IT TAKES TO SIMPLY LIVE IN THE MOMENT”. There’s a story that I remember reading in a book by Osho. It is a story of Mullah Nasruddin, Osho’s favorite character! One day, goes the story, Mullah Nasruddin’s son comes home crying saying his friend, who had borrowed a toy was now refusing to return it. Mullah’s son grieves the fact that he trusted his friend and his trust now stands betrayed. Mullah comforts his son. And promising to teach him to deal with such people better, he advises his son to climb up a ladder. The boy follows his father’s instruction. When he has reached the top, Mullah asks him to jump down. The boy hesitates. But the Mullah convinces him that he will be safe because he was going to be caught in the Mullah’s safe hands. The boy jumps. The Mullah moves away just in the nick of time. The boy falls hard on the ground. In shock, in disbelief, he starts wailing as the pain tears through his leg and grips his lower back. Still sobbing, he demands an explanation from his father as to why he betrayed him. Mullah Nasruddin explains, that he moved away so that his son never trusts anyone in future. Trust no one. Trust not even your father. That was Mullah’s message to his son. Unfortunately, we too have been brought up the same way. By both our social environments and by our parents’ compulsions. We have been taught that to be cunning, street-smart, clever is more important than being trusting, caring, forgiving and loving. So we have been living our lives this way. Without knowing, without realizing, that the absence of trust is the cause of all grief in Life. Fundamentally, learn to trust creation that if you have been created, it means that you have also been given all that you need to live a whole Life, fully, meaningfully, joyfully! But you__and I__go beyond needs and press for wants to be met. And when they are not met, you become untrusting of Life. You grieve. You seek answers, wonder why there are no guarantees, why Life is being unfair and such. To live in the moment, just trust the Life you have, for what it is, as it is, in that moment! The whole here is Life itself. It is working perfectly well. And for you. The way it must. So, let it be. Don’t ever seek guarantees from Life. Because there are none! Simply tee off, living in the NOW, every single moment! Author AVIS ViswanathanPosted on February 20, 2013 March 14, 2016 Categories Buddha, Eckhart Tolle's 'Power of Now', Guarantee, http://schemas.google.com/blogger/2008/kind#post, Intelligent Living, Live in the moment, Mullah Nasruddin, Osho, Tathata, Thich Nhat Hanh, Trust, Trust Life, WarrantyLeave a comment on Do whatever it takes to simply live in the now!